Linear regression is one of the best-known classical data mining techniques. However, it makes the assumption of independent identical distribution (i.i.d.) in learning data samples, which does not work well for geo-spatial data, which is often characterized by spatial autocorrelation. 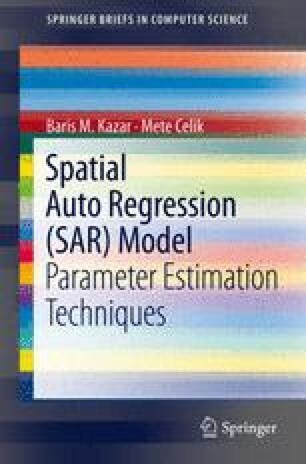 In the SAR model, spatial dependencies within data are taken care of by the autocorrelation term, and the linear regression model thus becomes a spatial autoregression model.